Telco’s and Banks maintaining control of you..
A positive move toward the implementation of mobile payments in New Zealand has been reported on Stuff.co.nz click here..
Near Field Communication does not allow for remote and global transactioning and maintains a policy of storing Card or Bank details in app to the benefit of Bank centric users and the need to interact with terminals. Unfortunately, more chips in card means more traceability options for ‘big brother’. The move toward Near Field Communication has been well documented. It is ‘retarded’ by a oversaturated market of ordinary analog style phones. However, Telco’s and manufacturer competition are driving down the price of smartphones, which are mainly used for entertainment purposes – apps. What is also fact is that people don’t want to be spied on by agencies such as the GCSB or Government Communications Security Bureau. Cellphones with simcards are traceable and can be tapped for information turned on or off. 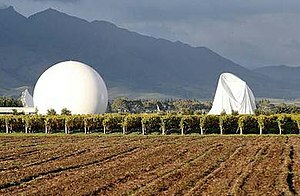 This of course is the same organisation that was used by John Key to spy on Kim Dotcom, assuming the PM is in control? He maybe just a puppet for ‘big brother’, without knowing or realising? so to speak. This entry was posted in Banks, Mobile Payments and tagged mobile payments.